The Mountain Coaster by ADG is the only coaster on the market that brings the authentic thrill and excitement of a rolling, dipping, zigging and zagging coaster ride to your mountainside that guests will return for time and again to experience. And with ADG’s proprietary, fast and easy install process, you can get them riding on your mountain even sooner! Environmentally friendly. Low impact. Thrilling and exciting. 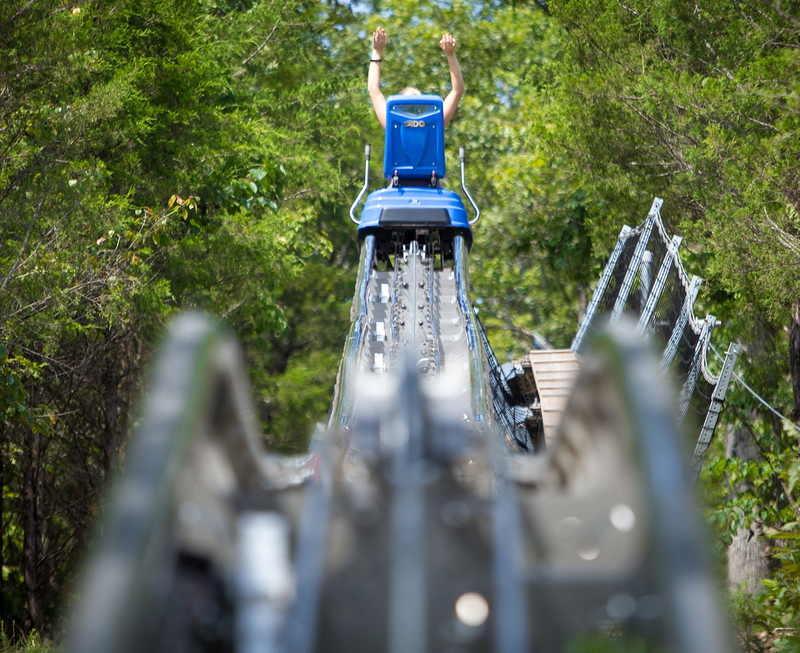 ADG’s Mountain Coasters are a genuine American Made mountainside experience – like no other coaster ride on the market! Something you can only get with Made-in-the-USA know how, support, and experience from a company that’s been manufacturing and building steel for more than half a century. An investment in ADG’s Mountain Coaster can pay for itself in as few as 24 months. Our proprietary system design and flexible track configurations are versatile and flexible so they are quicker and easier to install. Which means less time working on your mountain and more time riding on it! Only ADG has the proven capability to get a coaster ride up and running in under four months. And we have proven it time and again for our clients! Our expert team of designers and installers, combined with our innovative design and installation process, means you can start at the end of ski season, and be open in time to capture the key revenue-generating summer season. ADG was first to market with a collision avoidance system for Alpine Mountain Coasters. A system that delivers all the exhilaration of a rider-controlled experience while building in ground-breaking safety features that have quickly become the gold standard in the industry. It is the only coaster built with state-of-the-art, proprietary safety features providing a safer experience for your guests, and a more profitable investment for you. Automatic speed restrictors, brake lights, and alarms maximize safety while ensuring a fun, exhilarating ride for your guests. These smartly designed coaster carts allow guests of all ages to sit firmly and comfortably, providing a more secure and comfortable ride. 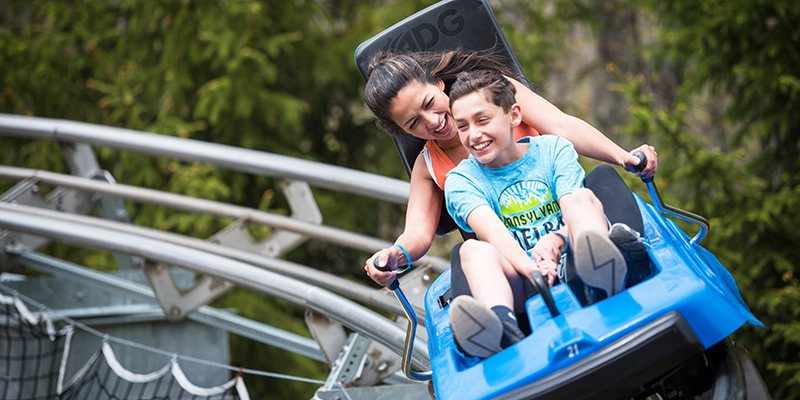 With a wider seat than the competition, ADG’s Mountain Coaster carts easily fit two adults for an enjoyable rider experience. And our seat belt design ensures riders remain firmly seated in the cart, even during those thrilling high G-force turns. 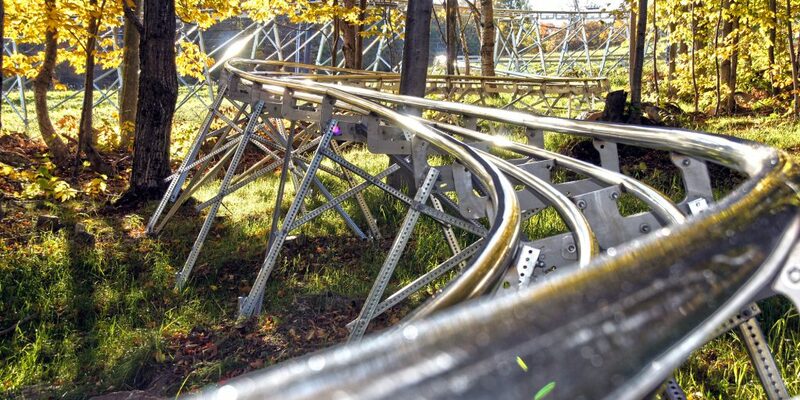 Made of stainless steel construction that accommodates virtually any twist and turn in mountain terrain, ADG prefabricates its mountain coaster track system in-house. This unique, one-of-a-kind modular design allows for fast and accurate installation that adapts easily to changing weather conditions. As part of the ADG experience, we follow up every purchase with our exclusive ADG Coaster Camp. The only company in the industry to offer this comprehensive, 360 approach to your project, our Coaster Camp is a unique opportunity for your staff to learn first hand from our expert trainers exactly how the mountain coasters are installed and operated to ensure a smooth transition from our team to yours. Unlike our competitors, this unique project approach to delivering alpine coasters enables us to provide our clients with the best expert advice and training to ensure the most successful return on investment. With ADG, you get a locally based team of experts dedicated to creating a unique and customized attraction designed to fit your resort and your terrain. And Made-in-the-USA means we have technicians in your backyard, so we are close and on-hand for site visits, installations, and follow up needs to keep your ride functioning at its optimal capacity. 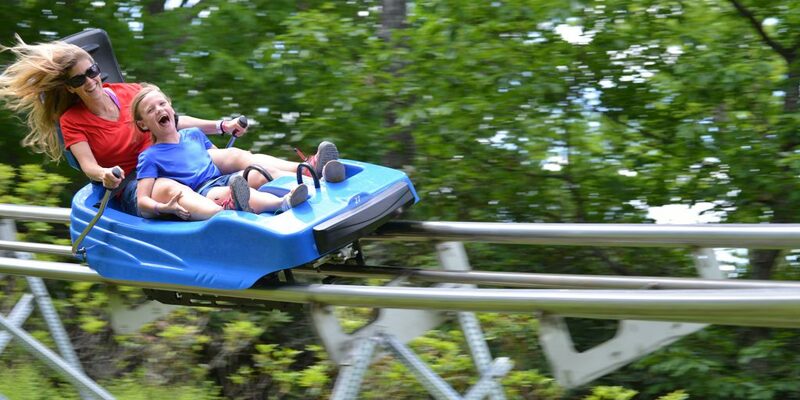 See the growing list of ADG Mountain Coaster and Slide projects.